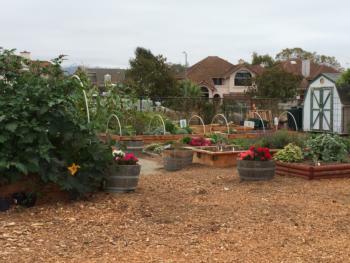 The Demonstration Garden of the UC Master Gardeners of Monterey Bay was established to provide hands-on community education for sustainable gardening practices. We “Cultivate Knowledge” by teaching irrigation, composting, integrated pest management (IPM), raised bed planting, pruning, weed management and more. Check the classes and events menu for current class offerings. The garden is located adjacent to the UC Cooperative Extension of Santa Cruz County building at 1430 Freedom Blvd, Suite E, Watsonville, CA. 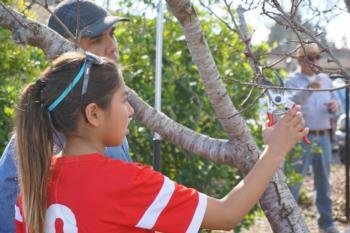 Visit or volunteer on 1st and 3rd Wednesdays each month from 9:00am to noon. Special arrangements can be made for other groups to view the garden by contacting the UC Master Garden Program of Monterey Bay.